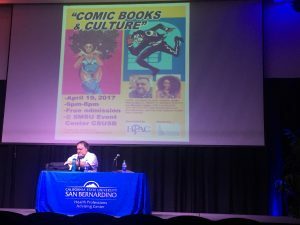 Comic Books & Culture was hosted at CSUSB on April 19, sharing the knowledge of the major influences culture brings into our society and much more. 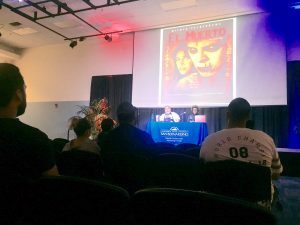 More than 20 students attended the event to hear the stories about talent and culture that guest speakers, Javier Hernandez and Bernyce Talley, had to share. Hernandez started off the event describing his strong influences growing up. He talked about how his culture allowed him to connect with so many comic books like “Fantastic 4” and “Spider-Man” because they all had characteristics he was very familiar with when he was young. 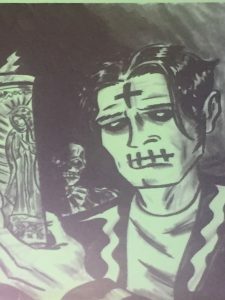 Both Hernandez and Talley stories expressed the multiple ways culture molds us into who we are and how we should use those characteristics to express ourselves. Talley shared her background of being raised by strong black women and how comic book characters like Storm opened her eyes. 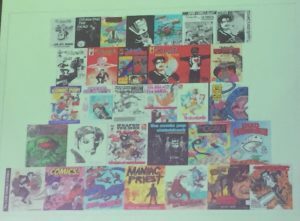 At a young age, Talley saw how culture can be looked at in such a positive way but noticed that it was still not being shown and selling in comic books the way one would like. 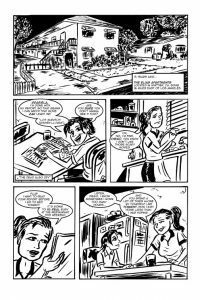 “Growing up, I didn’t have a lot of influences in black comic books and my first comic was white because I thought that’s what everyone was looking at,” said Talley. As she advanced in school, she noticed that culture should be a primary factor in her work and how she should not conform because of what society thinks. 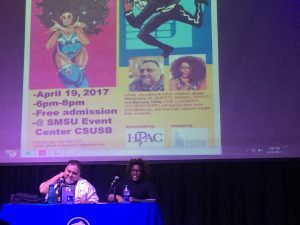 “I focused on comics that showed the black experience, and I worked on strong pieces that are still influenced in my comics today,” continued Talley. Both guest speakers spoke of their amazing work, and also showed multiple comics they have worked on and new work that will soon to be published. 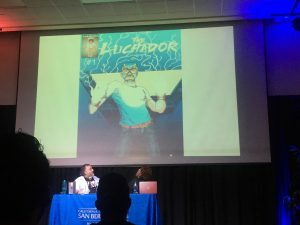 “Culture is important because it shows a truth to society in a whole new form of way and comic books are so popular and diverse, they can express so much more,” said student Genevieve Angelo. Throughout the event, students like Angelo eagerly listened and asked questions about the multiple prospects of entering into the field. Culture played a big factor in the event because it showed a new side of the field many students weren’t aware of. 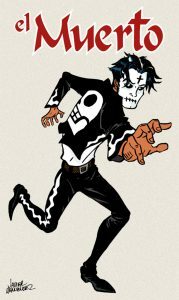 Comic books are much more than superheroes, sometimes, as Hernandez would say, they are a representation of you and your culture.